Over the past week, the left’s version of global warming deniers, the GMO refusers, starting attacking the Cheerios Facebook page. Why? 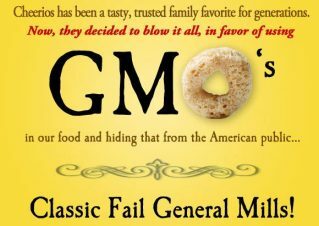 Because apparently, Cheerios, that wonderful cereal manufactured by General Mills, used by parents worldwide to feed their young children, contains GMO grains. “GMO,” or genetically modified crops, which are foods derived from genetically modified organisms (GMOs). All types of agricultural breeding induces genetic modification, but in general, GMO usually implies actual manipulation of the genes. GMO’s are a major controversy because of the use of DNA recombination-introducing genes from one species into another, which usually provides crops with added advantages, such as resistance to pests. A few months ago, when the thoroughly debunked “GMO corn causes cancer” story hit the interwebs, but that was thoroughly debunked as being bad science, bad research with bad results. Furthermore, the list of peer reviewed publications that support the safety of GMO crops is long and strong. GMO crops are safe, GMO crops are better for the environment, GMO crops cost less, and finally, with a growing planet and limited resources, the productivity of GMO crops can feed the world. And let’s not forget that grains, like corn, were manipulated genetically 10,000 years ago when they were domesticated. Teosintes, the original corn, was domesticated into edible corn through various types of genetic manipulation, including gene introgression and hybridization. One of the reasons why corn is so easy to manipulate genetically is because in the wild, it has an ability to jump genes and reconfigure its chromosomes for sometimes unknown reasons. But it’s not just corn. Wheat was domesticated at about the same time, through the same type and level of genetic manipulation. In fact, though the farmers at time did not have a clue about DNA or chromosome, but domesticated wheat was forced to have 6 sets of chromosomes (called hexaploidy) instead of the normal diploid (2 sets) seen in most organisms (like humans). Native wheat or corn looks almost like the grass on your lawn. To get them to produce enough grain to feed a population, we’d probably have to turn the whole earth into one huge farm. Concern over lack of “independent testing” of GM foods. This conspiracy theory is based on a common belief that the FDA does the bidding of Monsanto (or other Big Agra companies). Monsanto may not be the most popular company in the world for good reason, but from the Big Pharma perspective that I have, the FDA is a gruelingly tough regulatory agency that makes it very hard to launch new drugs and medical products because it’s core value is to protect American consumers. But again, the GMO refusers pull out the playbook of the global warming deniers, making the great conspiracy as the cornerstone of their arguments. The rise in food allergies correlating to the rise of GM foods. First, Post hoc ergo propter hoc, or correlation may have no relevance to causation. Moreover, the rise in allergies is common to almost modern countries, even though GMO use varies significantly between them. All that can be said is correlation does not equal causation. The rise in allergies is a common phenomenon in developed countries, even though the popularity of GM food varies wildly between them. And there is just no evidence that GMO foods have a different allergenic potential than wild type foods. Increased use of pesticides and herbicides because of pest resistance to GMO’s. The evidence doesn’t support this belief, although there is some research that shows GM crops increase pesticide use. However, even in those cases, the farmers can use less toxic pesticides, so the impact to the environment is a net positive. But the bulk of data show that GMO crops lead to LESS pesticide use. And it’s easy to find evidence based benefits to lower pesticide use from human health to environmental health. Fear that modified genes could jump to another species, causing unwanted pests (especially weeds) to gain resistance to herbicides. Although this could happen, it is extremely difficult in nature. 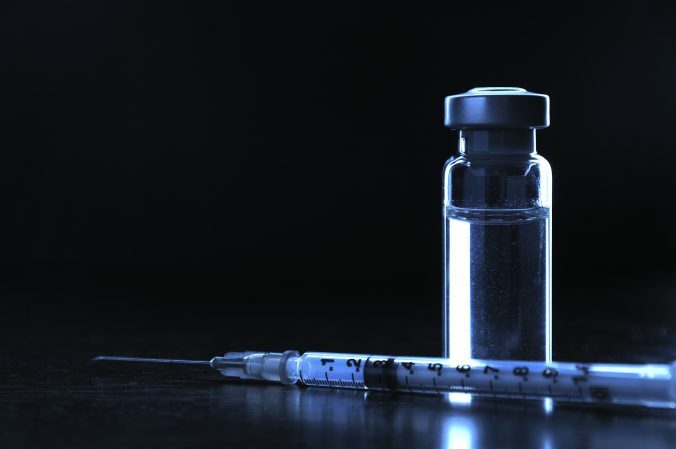 It usually takes a vector, like a virus, to transfer that genetic information, and viruses are mostly species specific (though, as we see with the Avian flu, not always). It should be noted that herbicide and pesticide resistance is not a concern unique to GM crops. A common myth perpetrated by GM opponents is that the crops use “terminator seed” technology (technical name Genetic Use Restriction Technology, GURT) is the name given to proposed methods for restricting the use of genetically modified plants by causing second generation seeds to be sterile. However, despite the shrill claims of the GMO refusers, while testing has been conducted on GURT, public opposition to the technology has caused a moratorium on its commercial. More importantly, GURT is beneficial, because it stops the transfer of GM traits to weeds, probably the only realistic and science based concern of the anti-GMO propagandists, while not introducing any new problems. Furthermore, there all kind of hybrid crops that do not produce seeds (seedless oranges for example) that cannot be used to produce new plants. In other words, “terminator seeds” have existed for centuries. But even if you want to continue to be a science denier, there are GMO free cereals that you can purchase. Cascadian Farm makes a whole bunch of cereals that mimic the look and flavor of big name cereals, like Cheerios. Go ahead and spend 20-50% more for a cereal that provides not one single benefit to human health, but that’s your choice. And if you think that if Cheerios decides to go GMO free, it will cost the same, then you fail to understand basic economic principles that the cost of purchasing GMO-free grains, test it, protect itself from the unfounded lawsuits that because Cheerios lied about the GMO certification, a child dies (they’ll take the playbook from the vaccine deniers). Or something like that. But here’s the saddest point–GMO certified foods will cost more, oftentimes, lots more, and the people that can least afford expensive foods that provide no added benefit, those on fixed incomes or some sort of food program, will be harmed the most. This is exactly the anti-science attitude of the global warming deniers. Only care about the elite, but ignore those at the economic bottom. The “moral” differences between the science denialism, and its effects on society, in both the GMO refusers and the global warming deniers is non-existent. It protects the elite, in the case of GMO refusers, wealthy hippies, and harms the poor. At least I’m a liberal and progressive who accepts scientific evidence on all fronts (whether it’s GMO’s, vaccines, evolution, or global warming), and knows that science denialism always hurts one group of people: the poor. Senator Barbara Boxer, a liberal Democratic Senator who, in fact, represents my state, has authored a bill, Genetically Engineered Food Right-to-Know Act, It’s good to know that Senator Boxer is just as anti-science as any dumb Republican who denies the science of global warming. I hope this bill fails, and it will, because the House will never vote for it. About the only time in a long time I’m happy that Republicans control the House. GMO foods are safe. Completely. Provide evidence otherwise with real science, and we can have a discussion. I’ve provided strong scientific evidence that it’s safe, using real science. Spök A, Gaugitsch H, Laffer S, Pauli G, Saito H, Sampson H, Sibanda E, Thomas W, van Hage M, Valenta R. Suggestions for the assessment of the allergenic potential of genetically modified organisms. Int Arch Allergy Immunol. 2005 Jun;137(2):167-80. Epub 2005 Jun 8. PubMed PMID: 15947472.